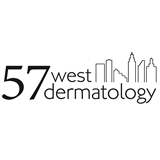 57 West Dermatology (New York) - Book Appointment Online! If you're looking for high quality skin care and personal service, you've come to the right place. Dr. Glass and Carrie, a board certified Dermatologist and board certified Dermatology Physician Assistant, will give you the attention and personal service you deserve. We offer the latest advances in the diagnosis, treatment and prevention of diseases of the skin, hair and nails. We also offer treatments that can improve the appearance of aging and sun-damaged skin. Our Dermatology practices have been located in New York since 1984. Let us put our experience to work for you! It was my first time going to Dr. Glass, but he makes it feel like you've known each other forever. He was very thorough and took his time to provide clear recommendations and treatment options. I appreciated his candor and it is obvious he cares about his patients. Easiest recommendation.